Car Plans 10 provides you with three winning car designs: the Funny Car, the Low-Rider GT, and the Dominator. 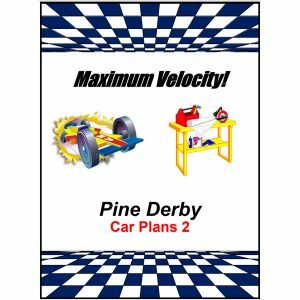 All plans include templates and step-by-step instructions, and the plans provide for optimal quantity of weight, optimal weight placement for both the standard (scouting) wheel base and the extended wheel base, and much more. Also included is a construction timetable, woodworking tips, weigh-in instructions, thoughts on adult involvement in the pinewood derby car building process, and a bibliography. Most importantly, all of the information is in an easy to read format with many helpful drawings and diagrams. 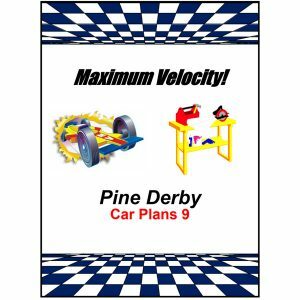 The three plans in the Car Plans 10 booklet are relatively simple to build, thus, they are ideal for those who have had limited experience with woodworking and with pinewood derby racing. (2)The Raptor is only available in standard wheelbase. 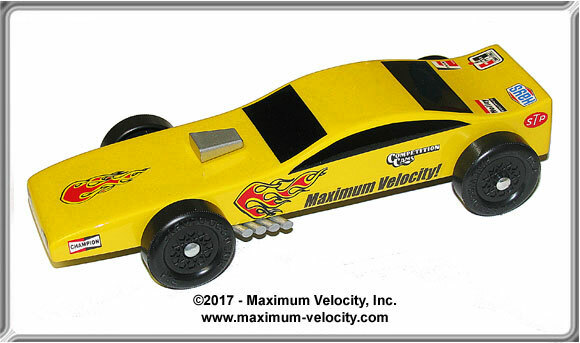 The Funny Car is a mean machine that looks good speeding to the finish. 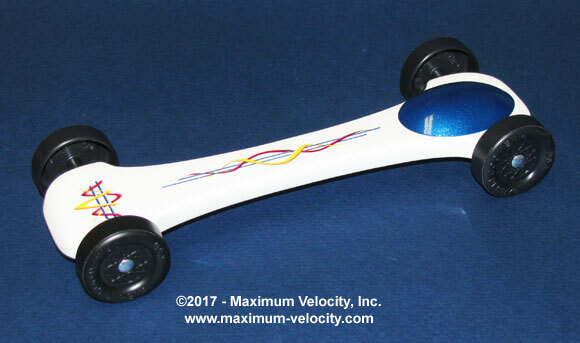 The Low-Rider GT has an extra-low profile to slip down the track at top speed. 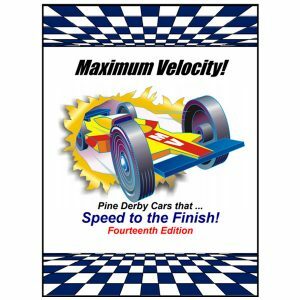 A light weight pine block (3.5 ounces or less) is required for this design. 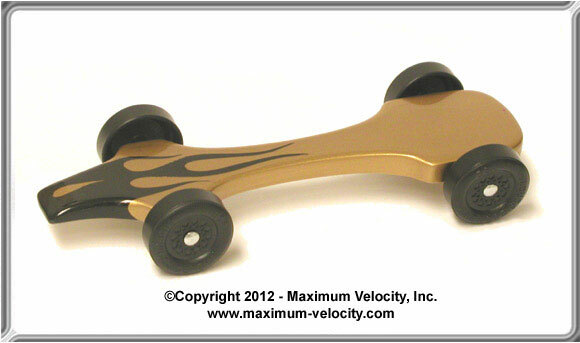 The Dominator is a "T-bone" style beauty that will dominate the track. 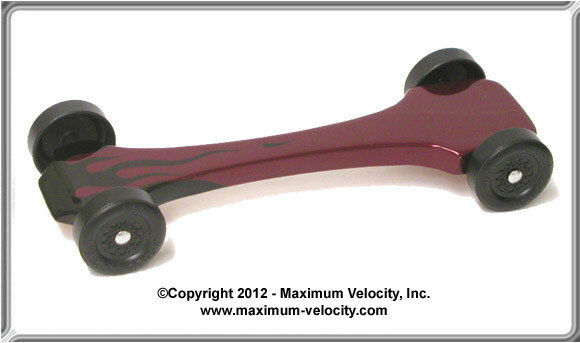 The low-profile body and aggressive weight placement ensures that the Dominator will produce top results.